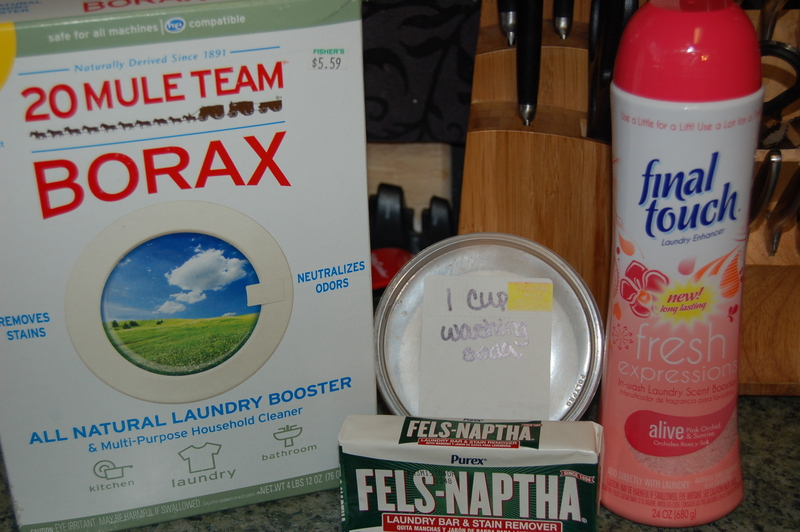 So, a couple weeks ago, I decided to try to make my own homemade laundry detergent. I’ve tried two different recipes–the one I mentioned before, and I also tried another that I found at Happy Money Saver (click the link for the recipe used there). I did tweak it a bit myself, and I’m posting my changes below. 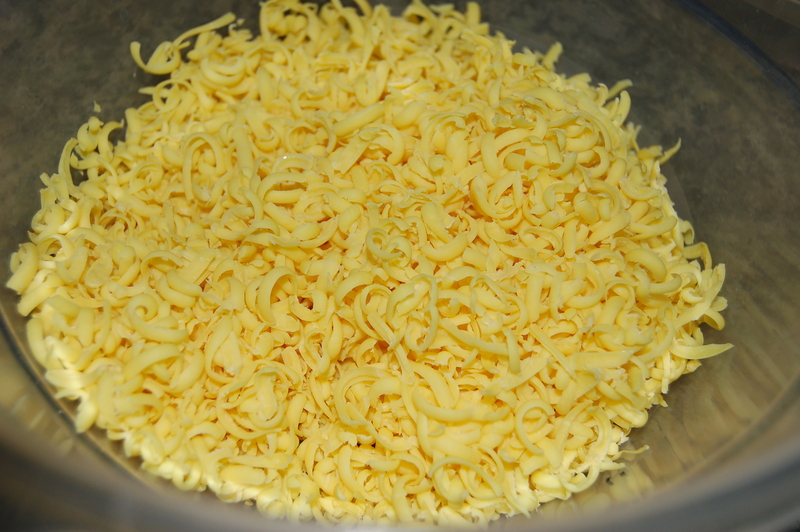 The original recipe calls for three bars of Fels Naptha soap, grated. Personally, I prefer the more mild option of castile soap. Admittedly, it costs a teensy bit more, but I love using it in so many other ways that it made sense for us to consider using it for our laundry care, too. 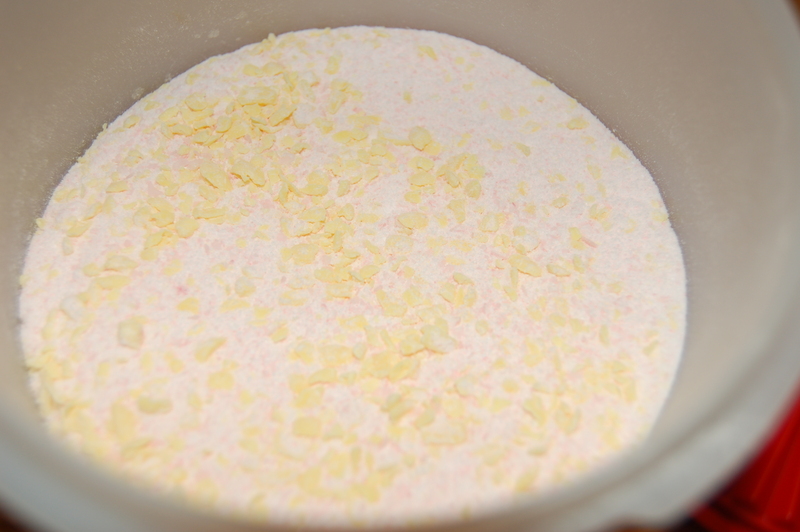 (A tip–grate the soap in a food processor, and the resulting “crumbs” are perfect for powdered detergent.) 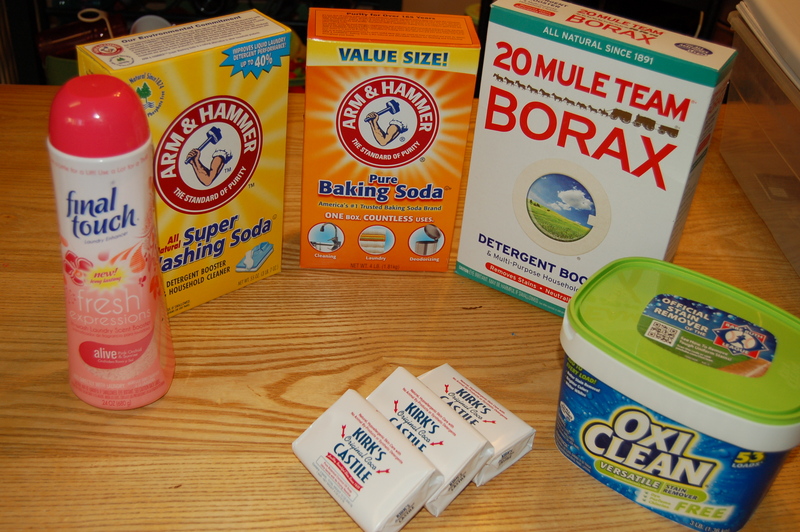 The actual recipe is quite simple–add a container of Borax, three bars of either castile, Ivory, or Fels Naptha soap (grated), 3 pounds of Oxy Clean, 3 pounds of baking soda, and a 4 pound box of washing soda to a large storage container (we recycled cleaned kitty litter buckets). Mix all of the ingredients together (mix well to ensure the scent crystals are thoroughly combined). 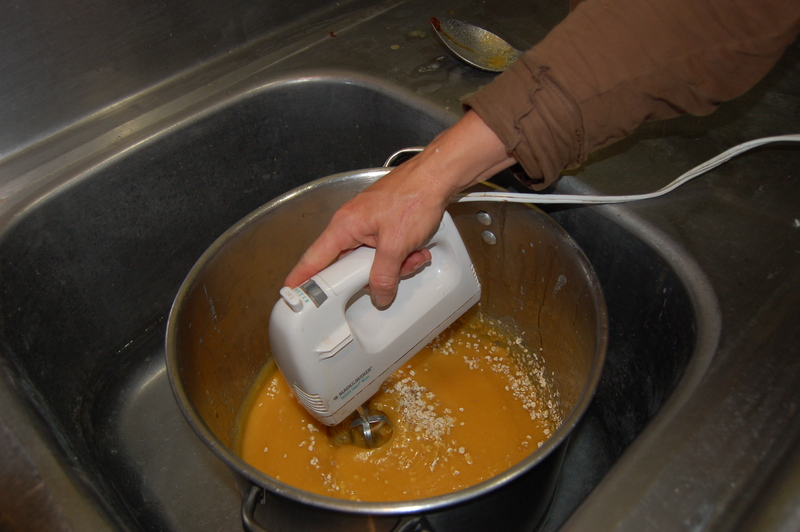 Use 1 to 2 tablespoons per load. However, we can have all of the laundry products in the world, store-bought or homemade, and none will work their magic for you like they should if you don’t find a suitable laundry routine that fits your family. And it’s safe to say that this is something that we struggle with. Honestly, we do just fine with doing the actual washing and drying. (And I totally stay on top of the cloth diapers, out of necessity.) But folding? Sometimes, the mountain of laundry will grow to ten loads or more before I finally sit down to fold it. So, I sat down with some determination, and a copy of The Busy Mom’s Guide: Taming the Laundry Monster, by Angi Schneider, ready to overhaul our laundry routine (or lack thereof). 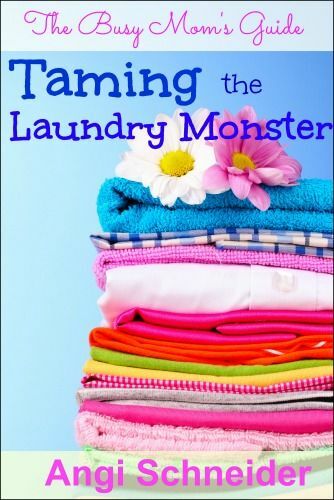 In Taming the Laundry Monster, Ms. Schneider shares with her readers several different laundry routines, as well as the pros and cons for each of them (i.e. weekly, daily, and “whenever something is needed”). 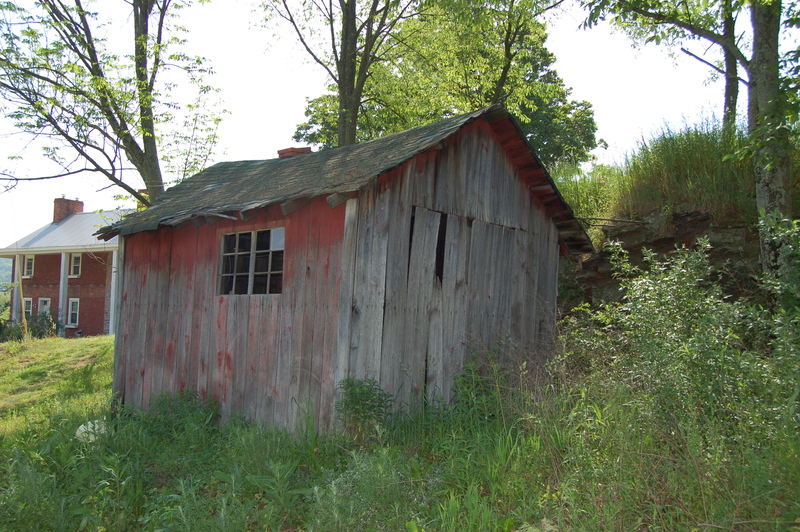 She also shares how her own family’s laundry routine developed, and changed, over the years, as her family has grown. One of the things that stood out to me is that she emphasizes that there is not one single system that will work for everyone, and that each family will more than likely need to change their own routine multiple times as needs and personal schedules change over time. This is different from so many other books that assert that there is one magical way to do everything, and that set up a reader for failure right from the start. This book isn’t like that at all, which I find refreshing. She also shares tips and experiences that are helpful when, as she calls them, “bumps in the road” occur, like sickness or a change in schedule. I found one particular section helpful where she poses questions for the reader to answer as you work to determine the right laundry method for you–cleaning personality type, what days the family has the most out-of-the-house commitments, what “particulars” need relaxed (i.e. am I too particular about how the clothes are put away), etc. There’s even a section with tricks that she shares for removing specific stains, drying and ironing clothing, and even mending your items (I can’t sew on a button, but her book tells me how). Plus, there is a recipe for homemade laundry soap, ideas for odor removal and fabric softeners, and general tips for doing the wash (like buying socks of one type for the children…seems so simple, yet I never considered how difficult it is matching a million different styles of white socks that look the same, but aren’t really). Interested in reading this e-book yourself? You can purchase it in PDF format on the author’s website, and until March 29th at 11:59pm, you can receive 25% off by using the promo code SPRING at checkout (on the Schneiderpeeps website only; not applicable on Amazon or for the Kindle version). GIVEAWAY NOW CLOSED! MOLLIE A. IS THE WINNER! I have a ridiculous addiction to buying laundry products. It’s really pathetic, really. I have, just going off of memory, three types of stain removers, two oxi-type cleaners, two types of bleach, two types of lanolin-based wool wash, a huge box of powdered detergent, two containers of fragrance crystals, several “booster” products, and seven bottles of liquid detergent. I know that I need to stop buying so many products because it really costs me a lot of money, and when you’re trying to get out of debt and to live a more provident, self-reliant lifestyle, having a full arsenal of laundry care products seems a bit…contradictory? I’ve been interested in trying homemade laundry detergent for a while now, but I have been hesitant. 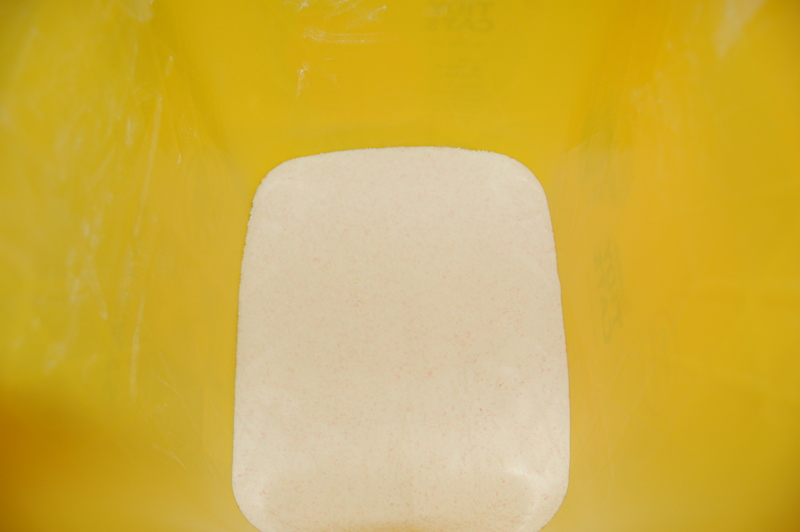 We do use cloth diapers, and the ONLY detergent that gets them truly clean (for us, anyway) is mainstream powdered detergents like you would find in the grocery store. And I’ve thought to myself, if I have to keep that on hand for the diapers anyway, is there really much point in MAKING detergent, too? So, tonight, I went to my fellow bloggers at the Homestead Bloggers Network and asked them for recipes, as I knew they would be reliable, tried and true. 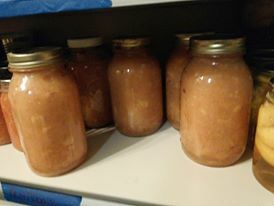 I received a few, which I will share with you at the bottom of this post, but, due to the ease of production, and the fact that the one I chose included a pricing breakdown for a 5 gallon bucket’s worth (you had me at the words “many batches”), I went with the recipe provided by the lovely Linda Loosli with Food Storage Moms, and you can find the original recipe by clicking this link. I added a decent sized scoop of scent crystals to add some fragrance to the detergent (you can find these at the grocery store). 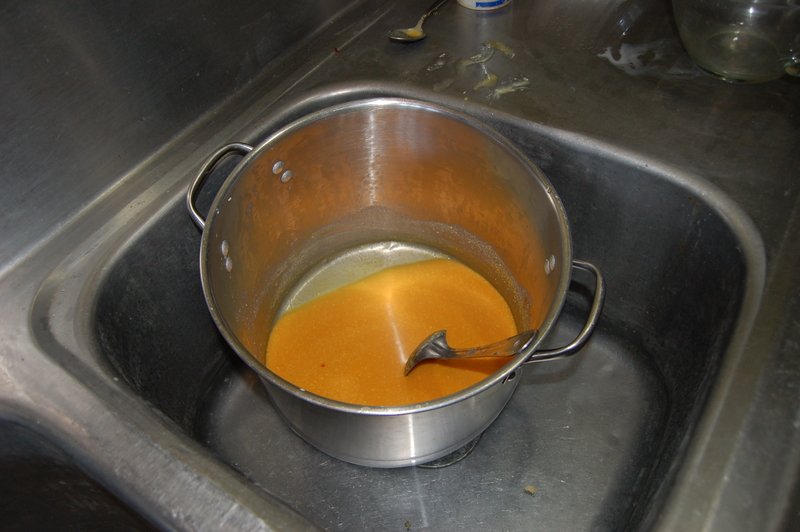 Other similar recipes allowed for this, OR, for the addition of essential or fragrance oils. This is optional, of course. 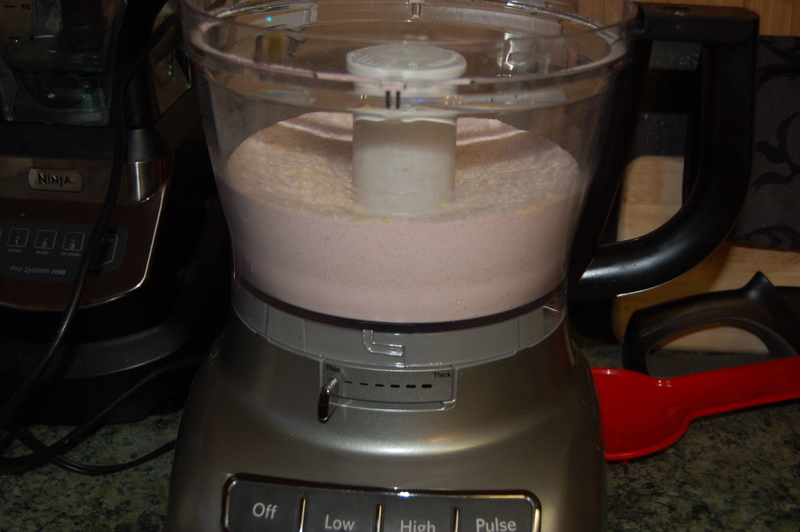 Add all of the items into a blender or a food processor, then pulse to turn them into a powder which will resemble the consistency of the brand-name detergent you would buy in a store. Store in an airtight container. Not gonna lie…grating the soap isn’t the most fun job in the world…it’s not awful, but it’s a bit annoying. 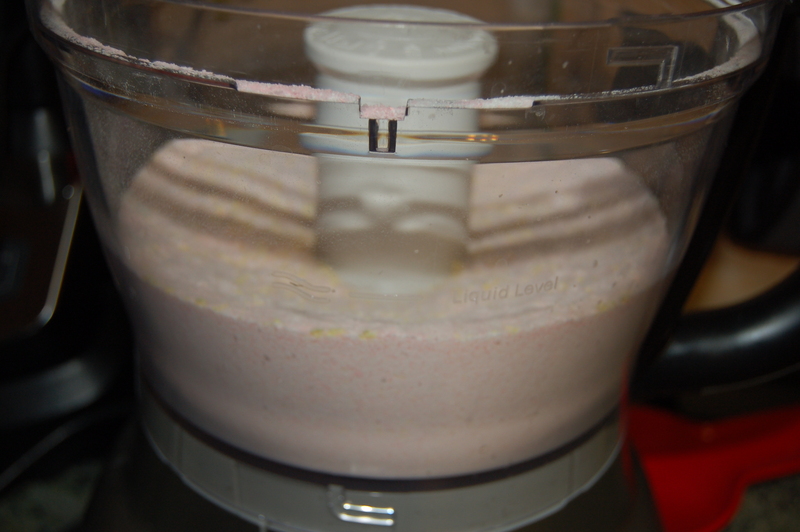 Add the Borax, the washing soda, the grated soap, and any scent additives (if you choose), into a blender or processor, and pulse away. 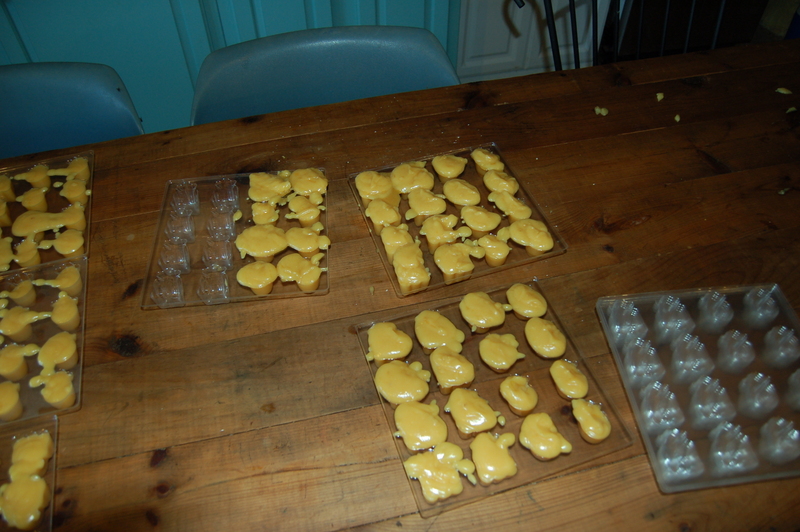 The finished product, stored in a Tupperware container specifically reserved for cleaning products. Now, I have yet to try this on clothes yet (hence why this entry is a “part one”), but I was itching to document a Sunday evening’s kitchen experimentation. You’ll have to wait a bit for “part two.” It will be worth it. 😉 Thanks again to Linda at Food Storage Moms for the recipe!! 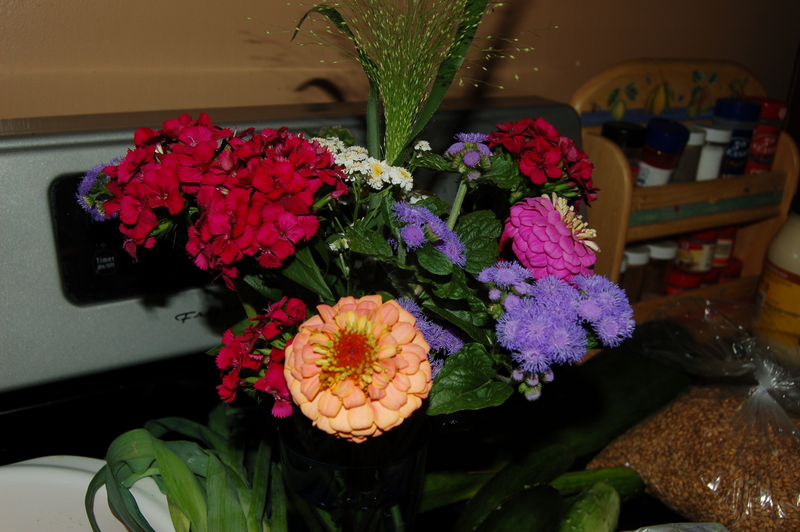 I wanted to say thank you at the close of this season’s farmers market and the CSA year. Thank you for waking up before the sun each and every Thursday so my little family could enjoy the simple abundance that can only be found at a community farmers market. 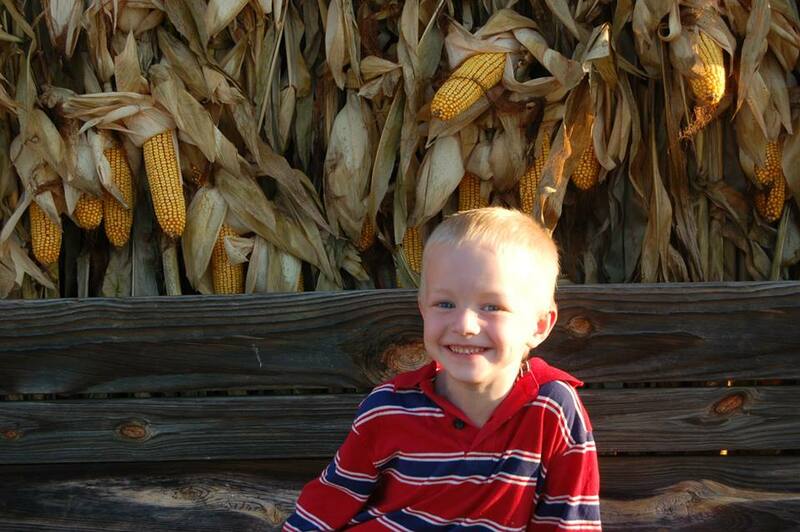 Thank you for keeping your costs low so that we were able to bring home bright, fresh produce each week. Thank you for answering my inane questions (“What IS that?”), for dealing with rude customers, the “bargainers,” the line-cutters, the unpredictable weather, and the unruly children (sorry), and also for helping my little ones learn that the market is a place of wisdom, perseverance, and kindness. 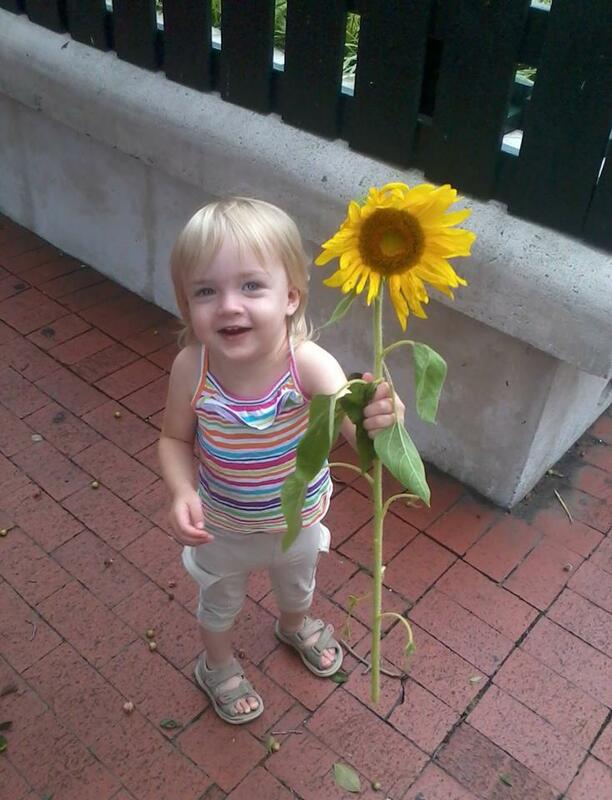 My daughter with a sunflower, given to her by our CSA share farmer at the market. 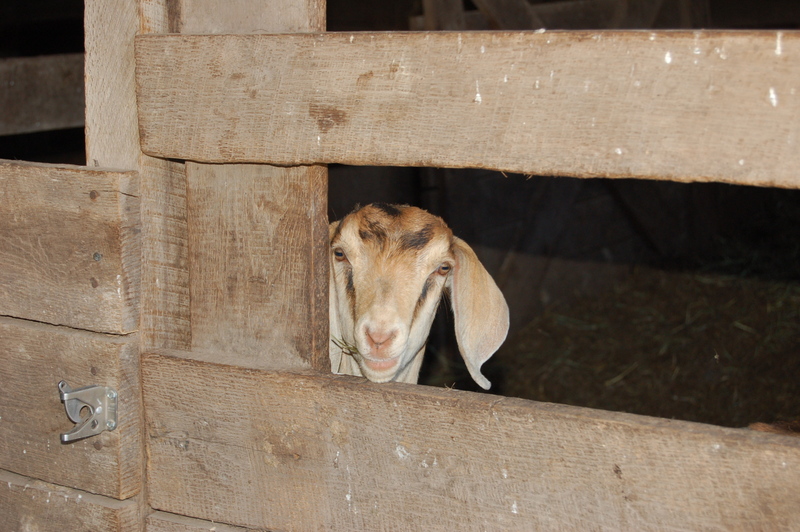 Thank you for reminding me to appreciate the little things–a late summer bouquet of flowers, the glory of autumn’s pumpkins, the sweet newness of a baby goat exploring its big, wide world. Thank you for teaching me the value of leaving my comfort zone by enabling me to accomplish things I never believed I could do. 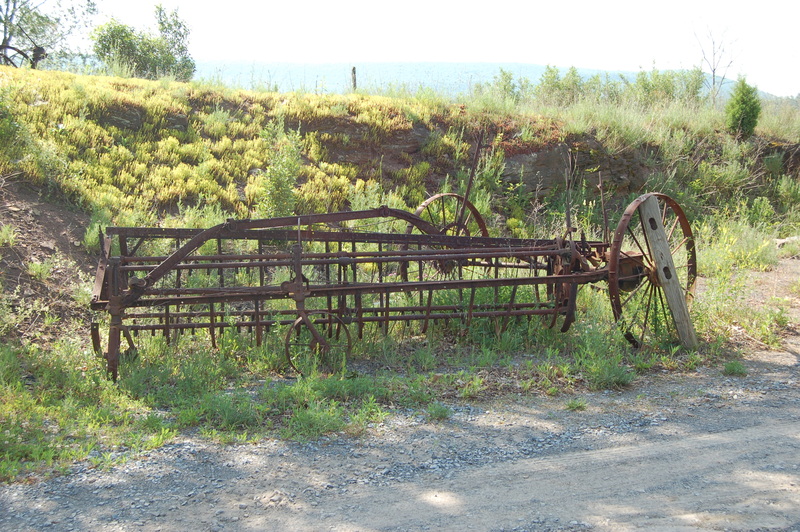 Thank you for the encouragement to learn traditional arts and the homesteader’s way. 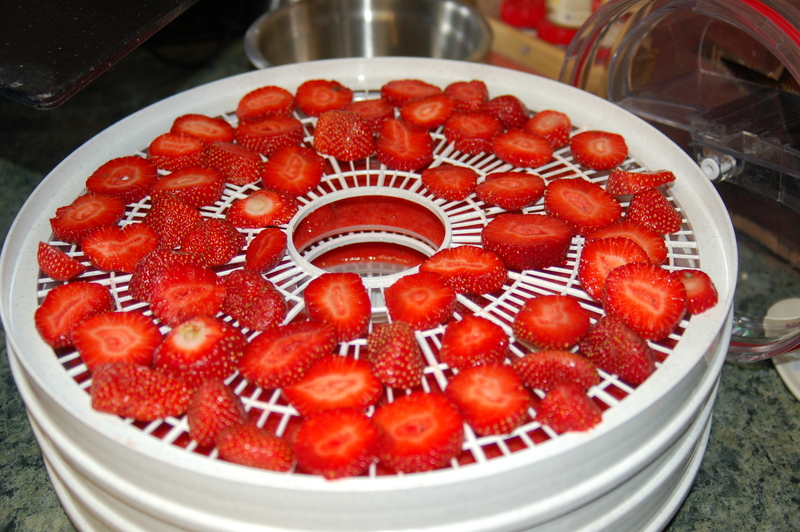 Thank you for the strawberries to dehydrate, the apples to can and preserve, the flour to bake with, the lessons on soapmaking. Thank you for teaching my family about community. 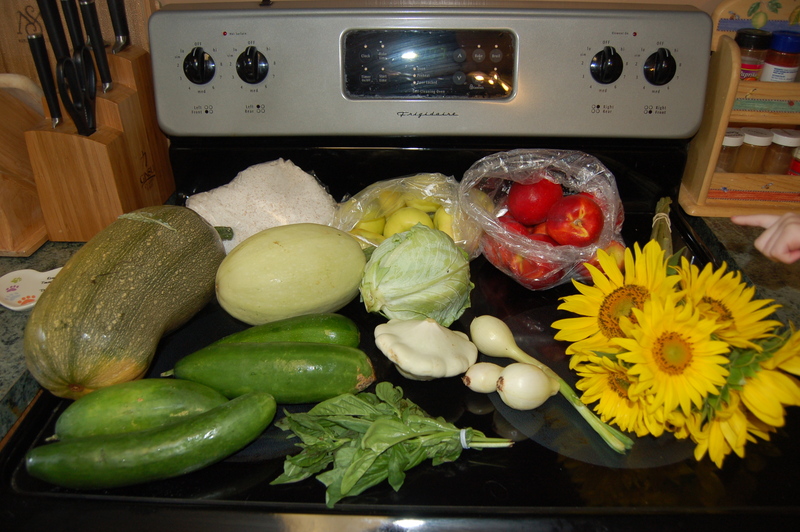 Thank you for showing me the importance, and value, of community supported agriculture (our CSA). 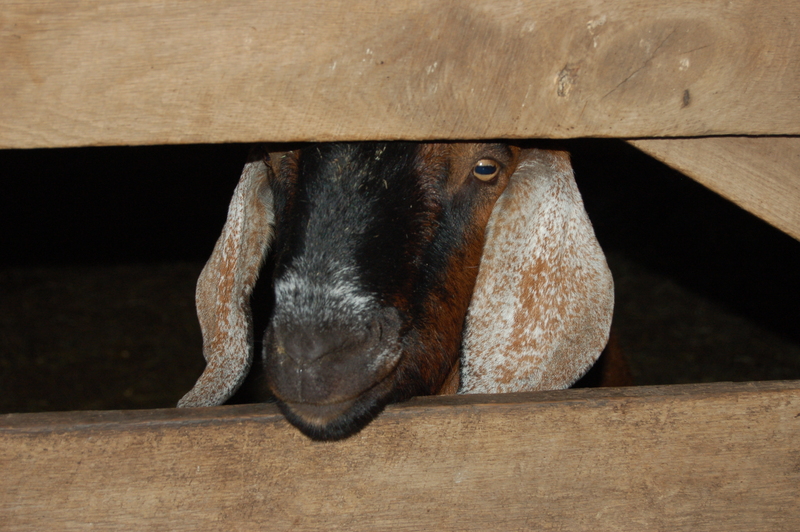 Thank you for the festivals, the hayrides, the walks along your fields for no good reason, the gatherings, the classes. 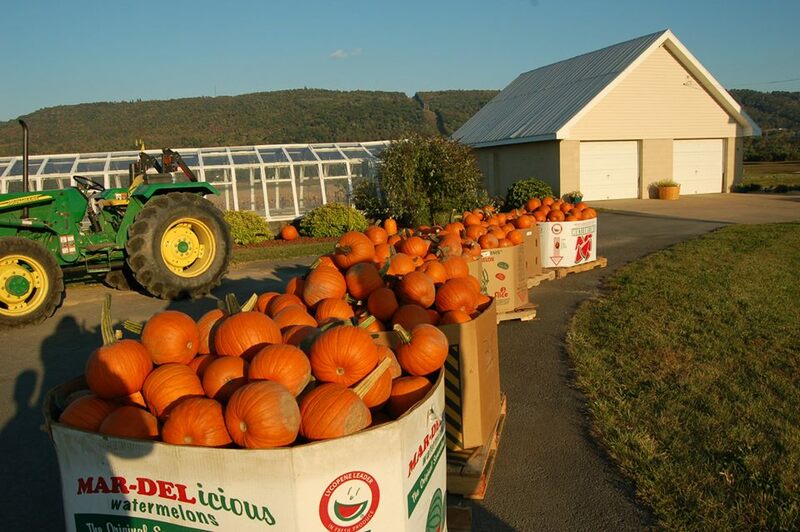 Thank you for giving my family the joy that comes in knowing where our food comes from and allowing us to participate in it. Above all, thank you for providing my family REAL food, nourishment, sustenance, that we cannot find in equal anywhere else. Thank you for the inspiration you have given me to do better, live better, FEEL better. 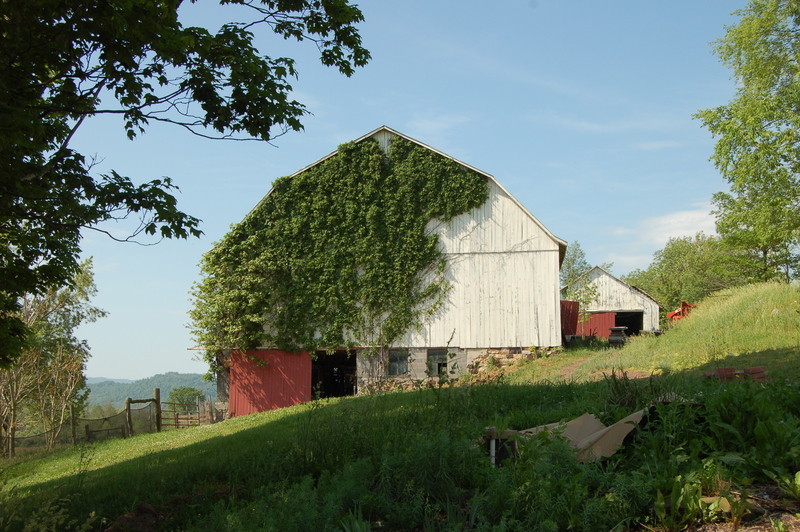 I was able to spend a gorgeous Saturday morning at Goodness Grows in Bedford, PA. 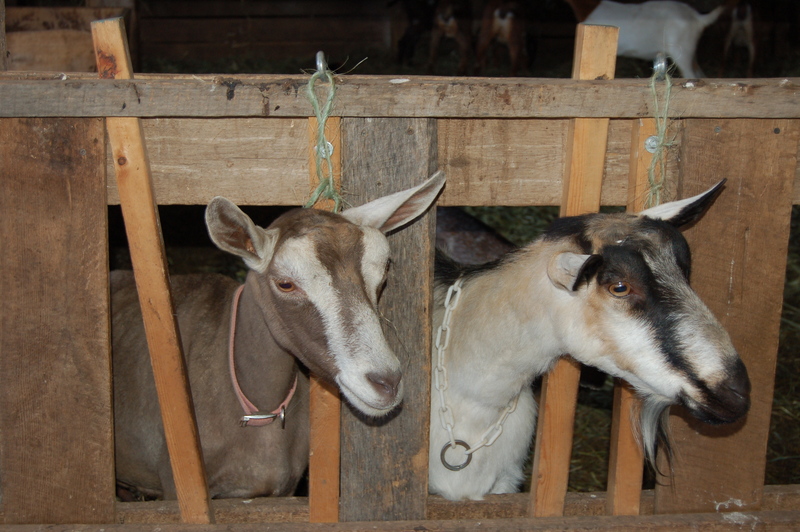 I signed up to attend a goat’s milk soapmaking class, and I was anxious both to learn a new skill and to take pictures of their beautiful property. 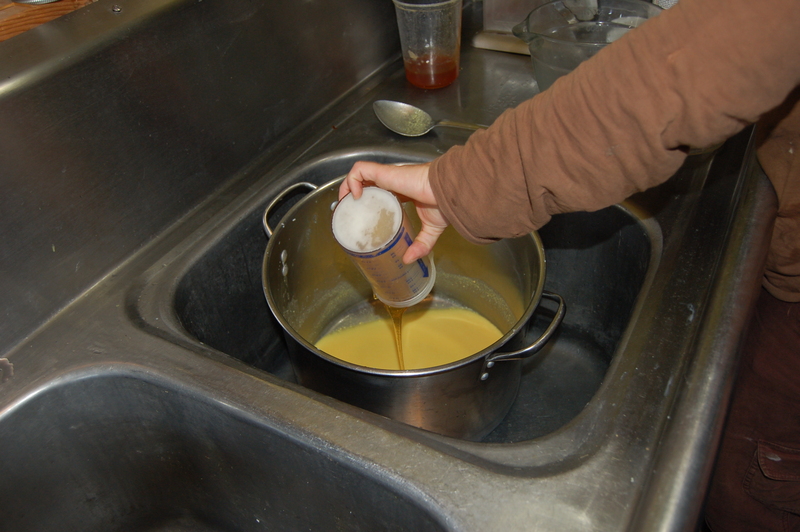 Dawn did a fabulous job showing us how to make our own soaps, and I felt like, with the right equipment, even my clumsy self could potentially have success with the task in my own home. Between learning a traditional art and being able to tromp around in the barn, I honestly felt like my spirit had been renewed. 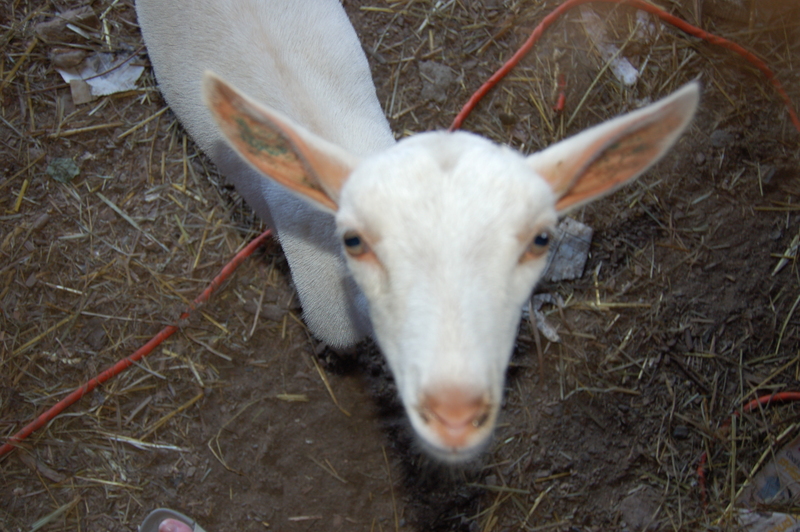 It was something I desperately needed right now, and I’m grateful they took the time to have us out to the farm. 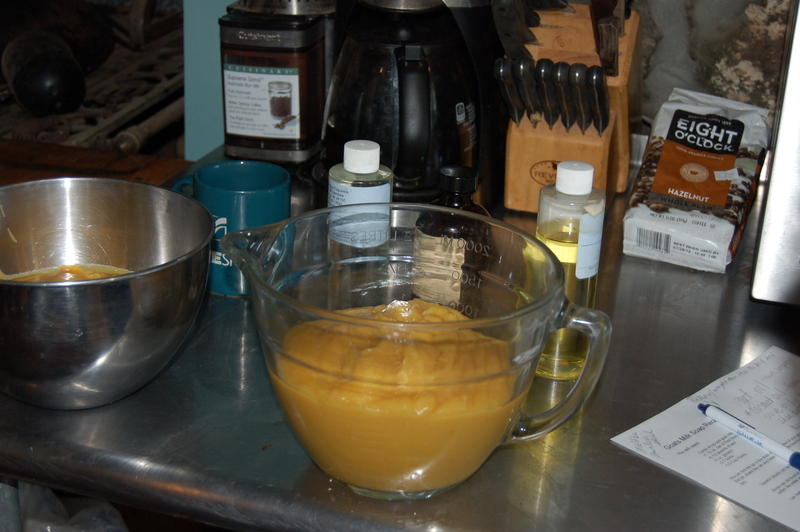 I’m sharing some pics of the day, and afterward, I’ll share a recipe for the soap. Mixing everything (all the ingredients but the fragrance). We wanted to add oatmeal. 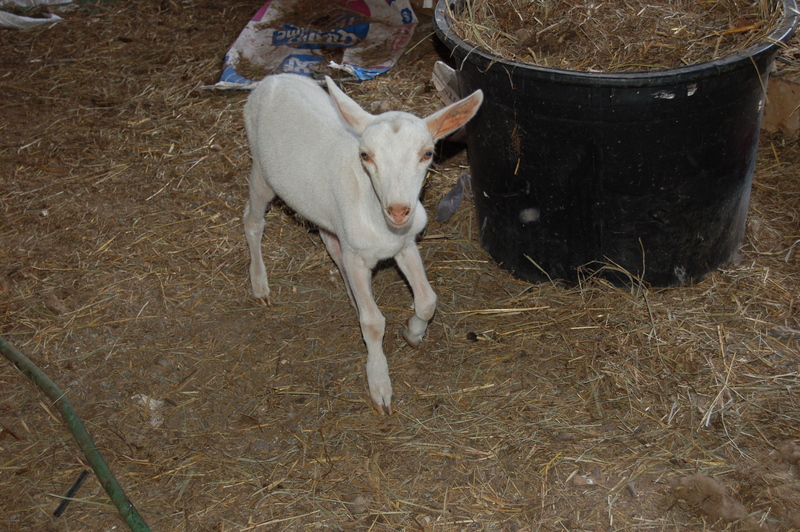 I’m adding a link for a recipe for goat’s milk soap–it’s relatively similar to what we made, though we used lard/tallow, instead of the shortening (we did add some oils…various oils add certain qualities to the soap…coconut oil, for example, helps it to lather), and ours had glycerin and borax, etc), but it is close.